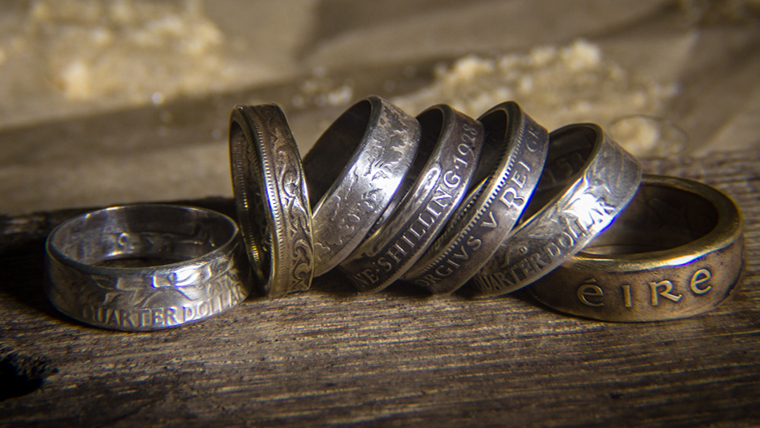 I’ve been making rings from old coins for my business Newforge Rings for some time now. I’m taking orders, so if there is a coin you would particularly like made into a ring, just let me know. Prices vary depending on the rarity of the coin and the composition – I’ve got coins made from cupronickel, brass, sterling silver, and more. I’m currently selling rings on my Etsy shop, NewforgeRings. Check out the “making of” video below, produced by Newforge Studios. It shows the making of one of my wedding ring commissions, made from a 2015 silver two pound coin ring.